One of the funnest ways to entertain your wedding shower party guests is through bridal shower games. Planning a bridal shower is a whirlwind of food, activities and guest lists that need to be planned. 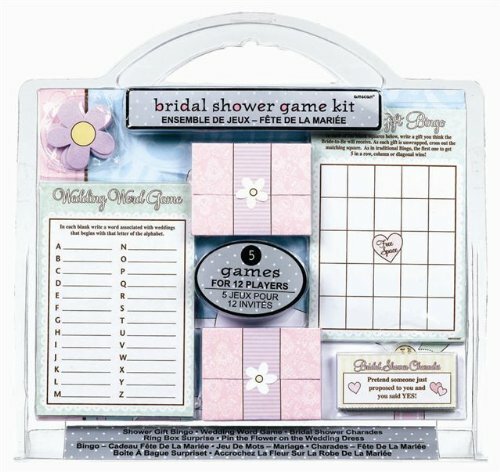 Why not make it easy on yourself and choose pre-made bridal shower games that you can do with the guests. 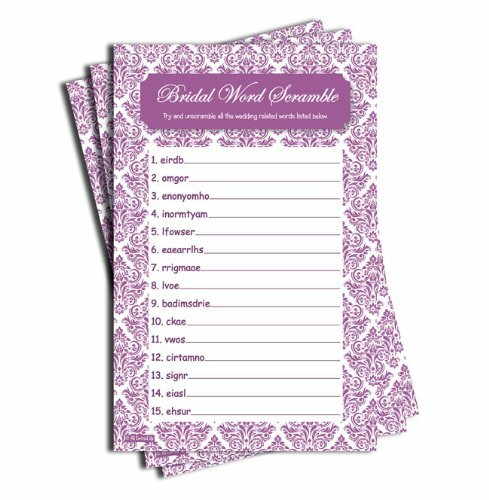 You can even couple them with bridal shower printable games. These are sheets that you can customize and print out on the paper of your choice. Unveil the whole line or sheet before the others! How well do you know the future bride and groom? Guess those words before anyone else! Who’s the first to find the name of this cake? 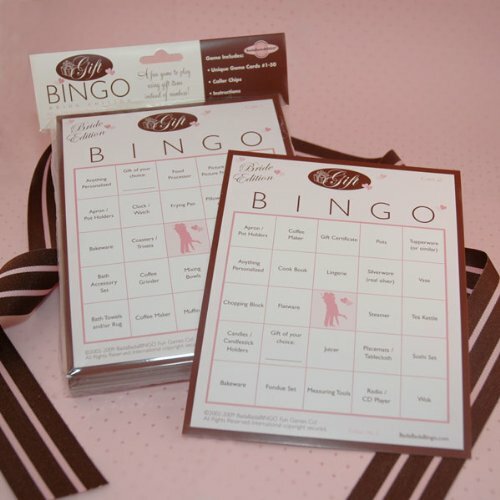 Why not choose a bridal shower game that the guests are going to want to play? For example bingo is among the most popular games out there and has been entertaining people for years. 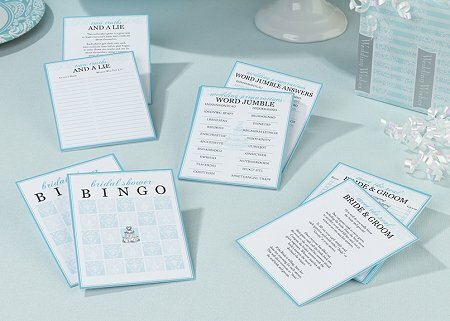 For sure, the pre-made bridal shower bingo games are surely going to entertain your wedding shower guests for hours of fun. But you can also add to the fun and find free printable games online. 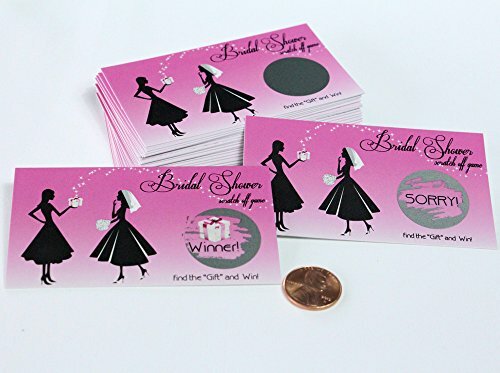 With some creativeness and research, no one will know that you printed the cards — after all, it looks like hours were spent designing the cards for the bridal shower. Choose prizes that the guests are going to want to win and you are all set for bridal shower entertainment. 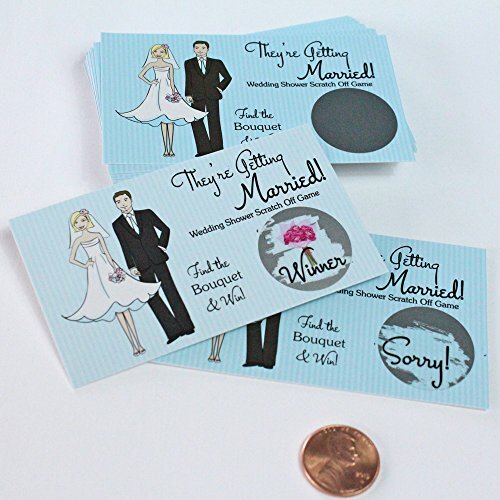 The beauty of this game is that you can turn it into something that will enable your wedding shower guests to know the bride and the groom better than they would have done if you didn’t plan this entertaining event. 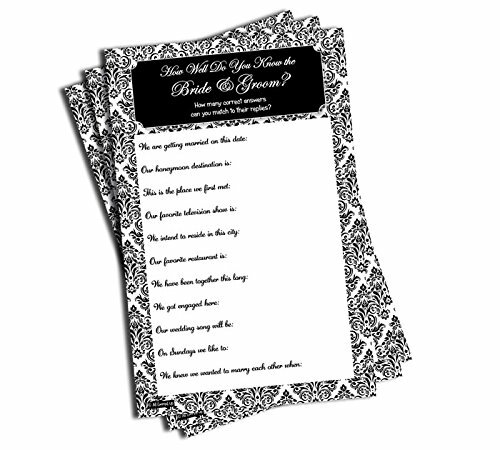 During this game, guests are given a sheet with questions about the bride and the groom. Answers are confirmed with the bride, for entertainment, and the person with the most correct answers wins the prize. 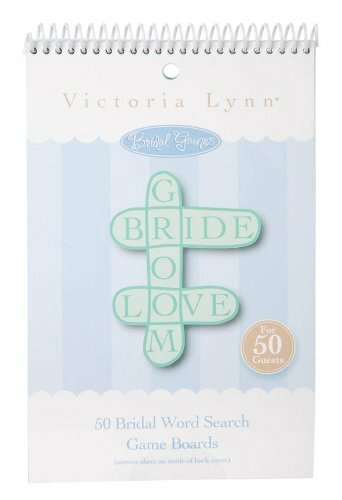 Also a classic choice for the bridal shower is a the wedding shower word scramble game. Guests scramble to get the answers as quickly as they can. The person who is quickest wins the prize at the end of the game. Answers are included in the package. The most delightful of bridal shower games is probably “Name that Wedding Cake” game. The new couple has probably chosen their favorite wedding cake. 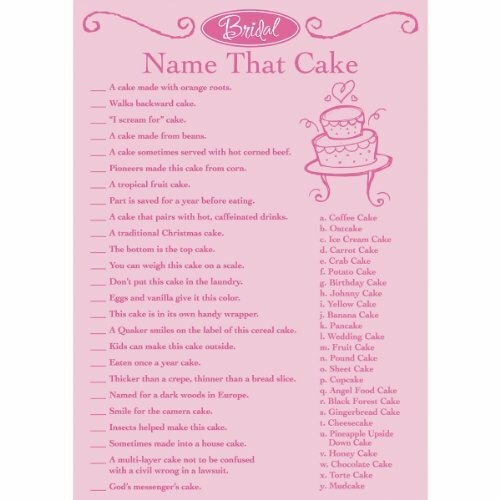 However that isn’t a reason to not have the bridal shower party guests try to guess different cake flavors out of just some clues. From trivia to word search, from scratch cards to finish the sentence, you will find different games that will add more fun to the party. 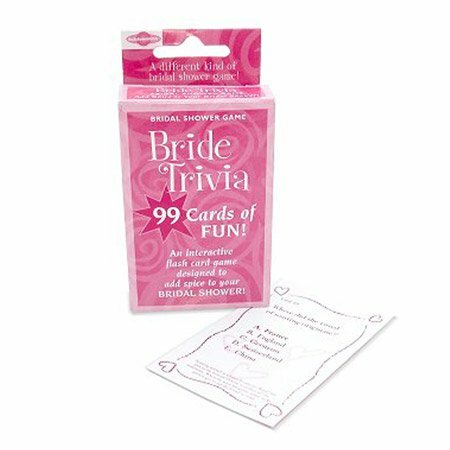 Bridal shower games can also be purchased in packages so as to entertain your guests even more. Though make sure to have lots of tiny presents to get the winners. Before all, have fun! Some online sites provide you with themed wedding sheets that you can print out and use in your showers. In the past, Funsational dot com used to provide us with high quality printable games. However, they closed their doors. But if you run a search using youf favorite search engine, you will surely find sites that enable you to download such items, and even for free. A good alternative is Photoshop or any other picture editor. With some creativeness, you can design your very own personalized – nobody else has it – never seen before – printable games, which would include your very personal questions and trivia. This way you will have an unique bridal shower party. 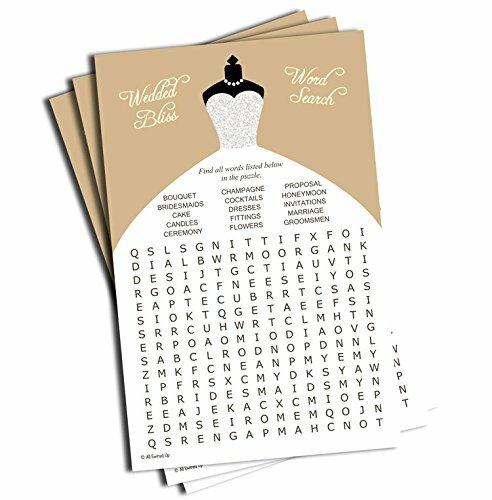 Tagged bridal shower, bridal shower game package, Bridal Shower Games, bridal shower printable games, bridal shower printables, games to play, get to know the bride and groom, name that cake, printable games, wedding games, wedding showerwedding shower games, word scramble, word search.